Do you love surprises, food and drink or trying new things? If you answered yes to any of the above then the Degustabox could be for you! Degustabox is a monthly food and drink subscription box priced at just £12.99 per month which includes postage to your door (You will even get a text detailing an hour time slot for your delivery!). Each month your box will contain a combination of food and drinks from new and old brands that you may or may not of heard of before. Its always a little exciting to discover what is in your box each month. As you can see the box offered a good range of products this month and the RRP prices of each product far outweighs the price you pay for the box. 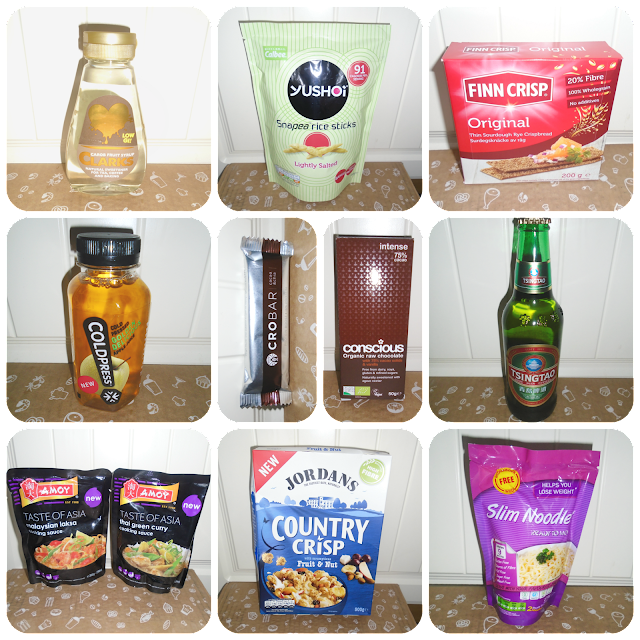 My favourite product in the box this month had to be the Coldpress golden delicious apple juice it was crisp and freshing with a real burst of flavour, its something I will certainly be keeping an eye out for when I am shopping. The Yushoi rice sticks were a new brand to me and a product I hadn't heard of before but they were something we all enjoyed. The flavour wasn't to over powering and these make a great alternative to crisps for a healthier snack. Do you fancy trying out Degustabox for yourself? You can use the code BLDEG15 to get £6 OFF your first box making your first box just £6.99! To find out more or purchase a Degustabox simply visit their website here - www.degustabox.com. I love Country Crisp. Looks like a great box this month.